Posted on May 5, 2015 May 4, 2015 by Dayna Jacobs - "On Granny's Trail"
They say a newborn baby’s name can influence the course of his life for good or for bad. Well you certainly can’t blame Mr. and Mrs. Hook for trying. After all, they probably were hoping for a distinguished maritime or football career from little “Captain Percy Hook”, and weren’t quite banking on him going the pirate ship route. 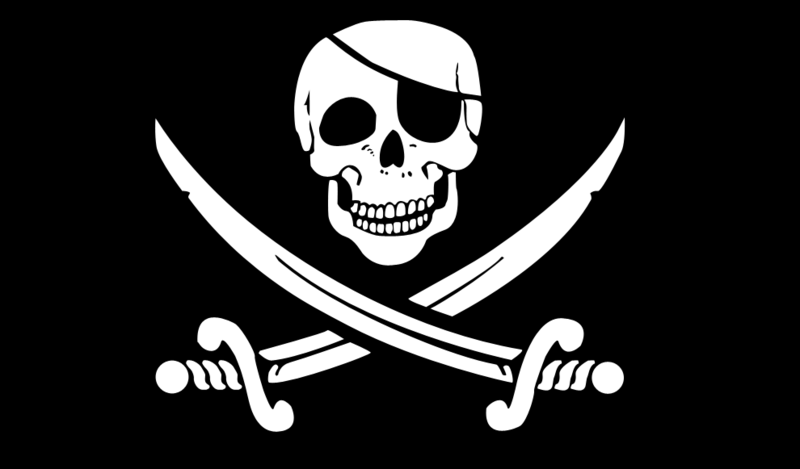 But kids will be kids, and what kid, when given the option, would not choose to be a pirate, right? Little Captain Hook you’ve got a choice to make: Would you rather be the captain of the Tunbridge Footballers or the Jolly Roger? I know you think I am making this up, right? But I have proof. The Fairy Tale Genealogist always has “proof”. Yes, I know J.M. Barrie’s character was named James, but this is a minor detail when the Fairy Tale Genealogist is presented with such a tantalizing set of records for a fictional character. Who ever dreamed a British birth record, census record, and army enlistment papers for Peter Pan’s archenemy could be produced? Little Captain Percy Hook first appears in the Free BMD Birth Index for England and Wales, for the March quarter of 1899 in Tunbridge district. Information from the FreeBMD Birth Index (district, volume, and page) can be used to order a birth certificate from the General Register Office or view one online, and from there we could obtain his mother’s maiden name and father’s name. 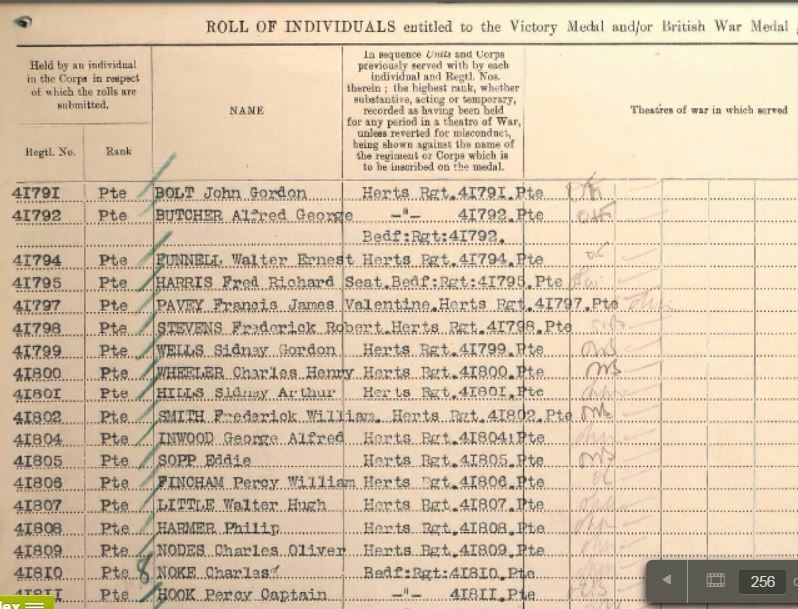 We can also see both his parents’ names on the 1911 England census, where twelve year-old Captain Percy Hook, the future pirate, has an occupation of “school boy” and a birthplace of Brenchley, Kent, England. 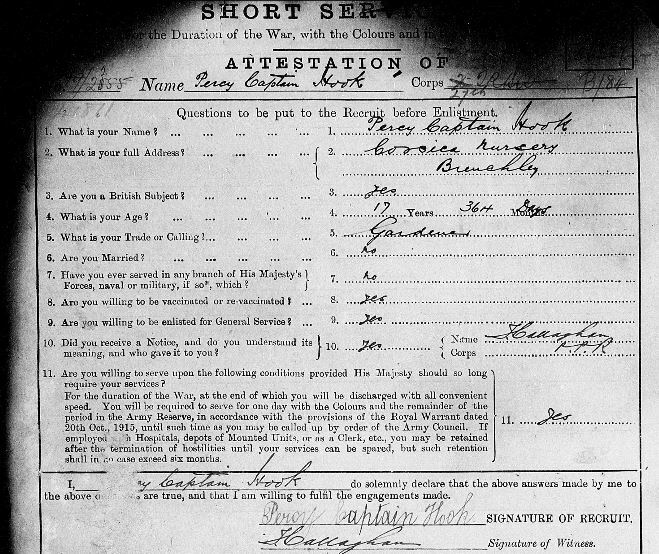 Five short years later he has “received notice” to enlist in the British army for World War I. One can only imagine the navy would have been his first choice had he been given one. Wisely, Captain Percy Hook has elected to start giving his name as Percy Captain Hook, thereby avoiding the confusion and redundancy a promotion to the rank of Captain would have caused. (Captain Captain Hook reporting for duty, sir!) Interestingly, he gives his occupation as gardener, giving us a glimpse into his early, gentler side and leaving us to wonder where it all unraveled for him. As a bonus, we get his signature on this document! Two years later the war has ended and Captain Hook has been awarded the British War Medal and/or the Victory Medal. Further ideas for research would be looking in the FreeBMD index for marriage and death records, as well as the 1921 census. The 1931 census was destroyed in WWII, and the 1941 census was not taken due to the war. 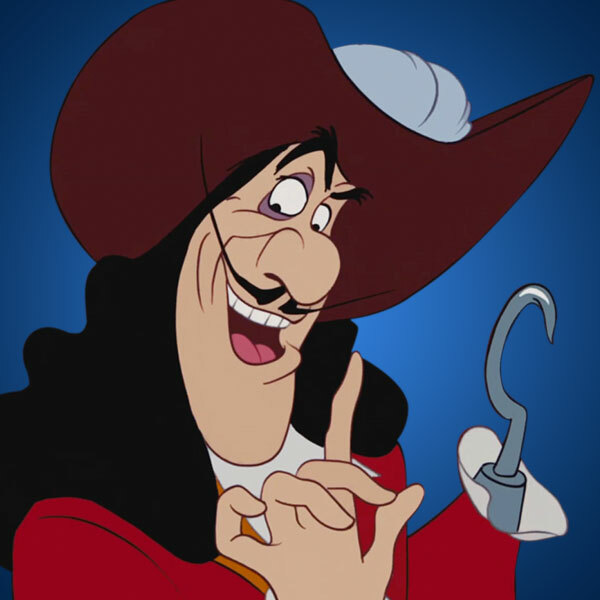 By all accounts Captain Hook was an upstanding citizen, and I am wondering if he was just a misunderstood character with a gardening implement for a prosthetic device. Sure, he was a pirate and forced Peter Pan to walk the plank, but like Jack Ripper and Attila Hun he faced long odds at birth when he was named. We must look at him through the long lens of literary license and know J.M. Barrie had a story to tell, and perhaps the actual records hint at a more gentle, noble man behind the mustache. OR perhaps the Fairy Tale Genealogist has had some fun again 😉 Sorting out the fairy tales from the facts is what a good genealogist does. Arrrrgh! Next Post US Geological Survey adds a New Online Map Viewer and It is a Good One! This is so much fun! Thanks for make geneology really, really fun! Love it!